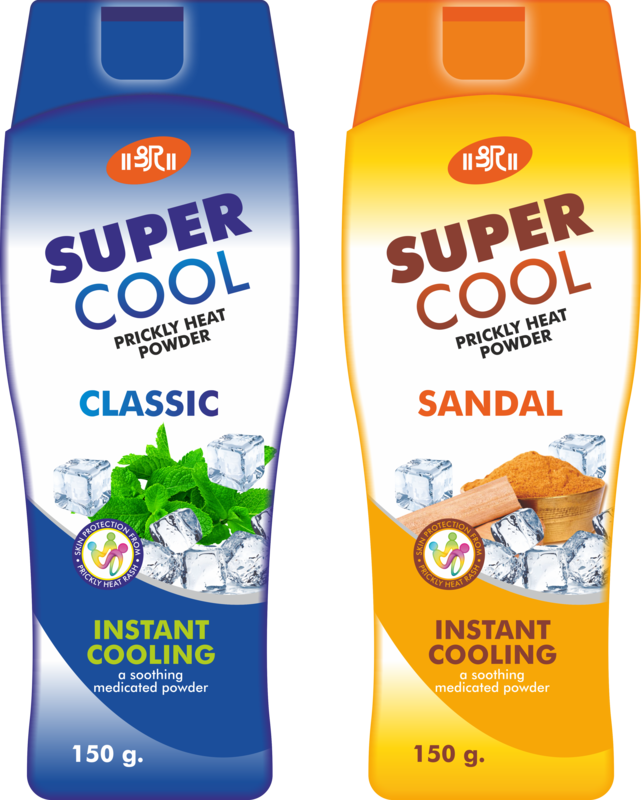 SUPER COOL PRICKLY HEAT POWDER provides quick & long lasting relief from prickly heat. It prevents skin problems like heat rash, burning sensation and other minor skin infections. It helps in absorbing sweat & prevents body odour. It provides the cooling relief through the goodness of natural herbs. Available in Sandal & Classic.